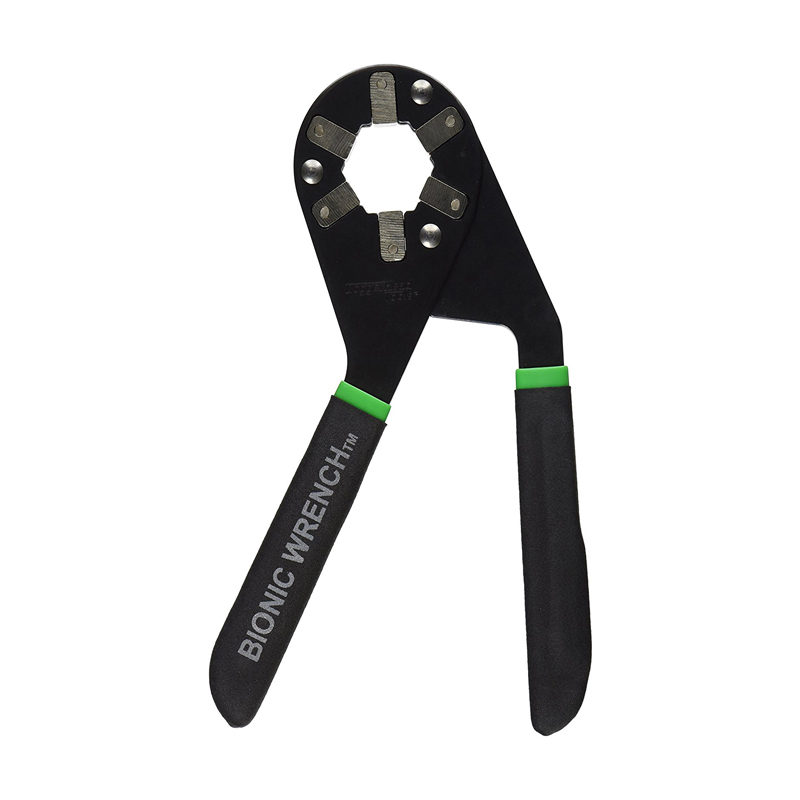 The Bionic Stud Wrench is so easy to use -- no more guessing at stud sizes. This stud wrench adjusts easily by squeezing and turning; it distributes equal force on all sides of the stud. Will not slip, strip or round-off fasteners. It's easy on your knuckles, too. Corrosion resistant.